Gather round my friends! I’m on vacation, but I have a little fun eye candy to share. 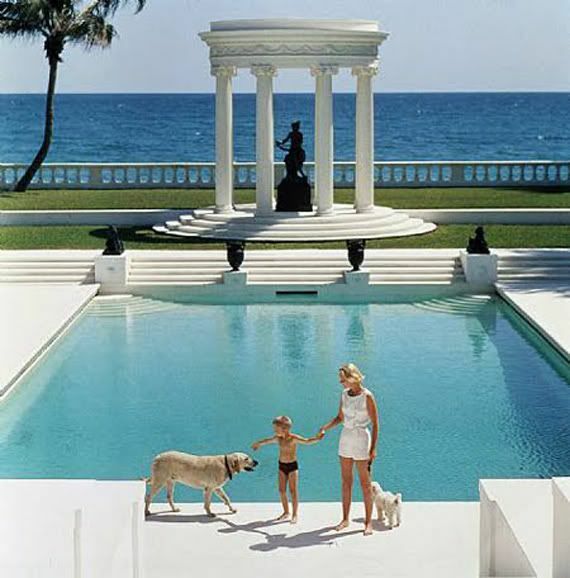 Have you seen the posh world of photographer Slim Aarons? If not I think you’ll love it. 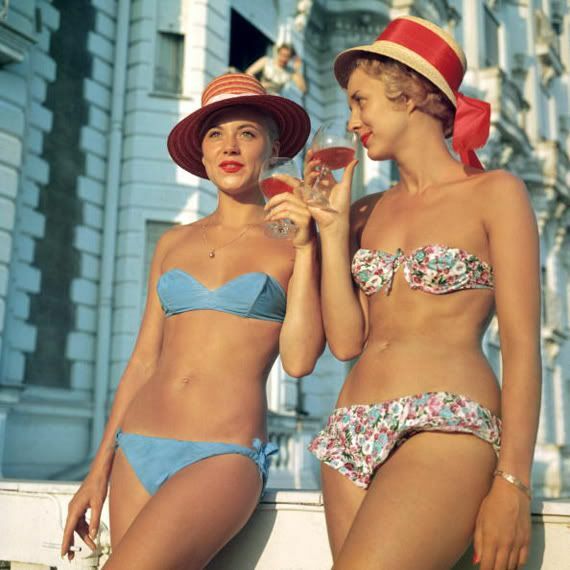 Slim’s camera lense perfectly captured the jet set glitterati of the 50s and 60s. 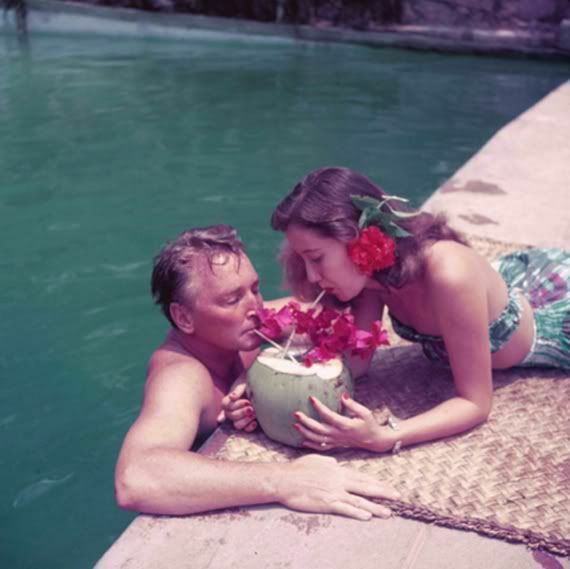 His subjects were primarily upscale and wealthy, from young Hollywood starlets to Pucci-clad Italian princesses and WASPy American socialites. 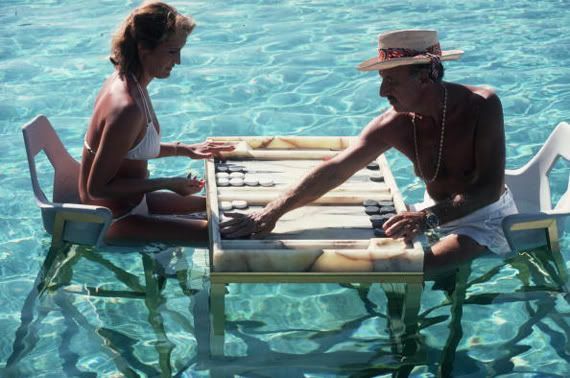 His photos have this amazing combination of day-in-the-life and other-worldliness. 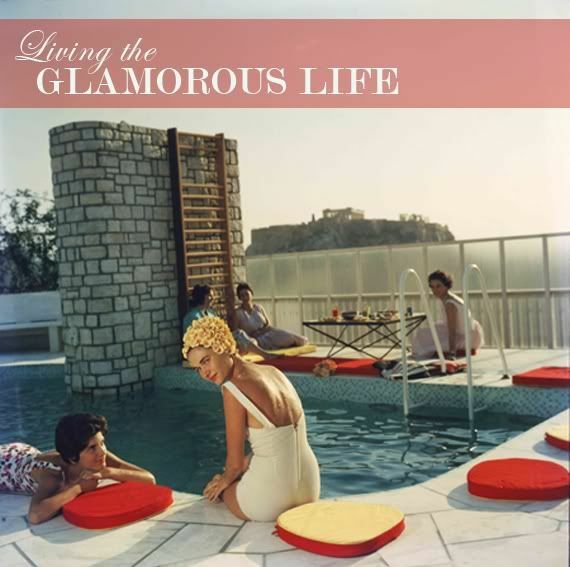 Let’s be clear though, this “day-in-the-life” is a slice of life like no other! It has been said that Slim perfected the “environmental portrait,” so rather than having his subjects pose in the traditional stiff-n-formal manner, he featured people in their natural environment. Slim said it best, he photographed “attractive people doing attractive things in attractive places.” I love that. (I also love how I keep calling him Slim, like we were best pals or something…) Such a great way to have documented this lost era of style. His images have been very influential on modern day photographers—and while his work is often imitated, nothing beats the real deal. I wonder….is a holidaymaker like a freshmaker? I think I shall refer to myself as a holidaymaker from now on. And apparently I must always carry a drink in hand. Oh, you crazy white people! I love this “couple” shots. 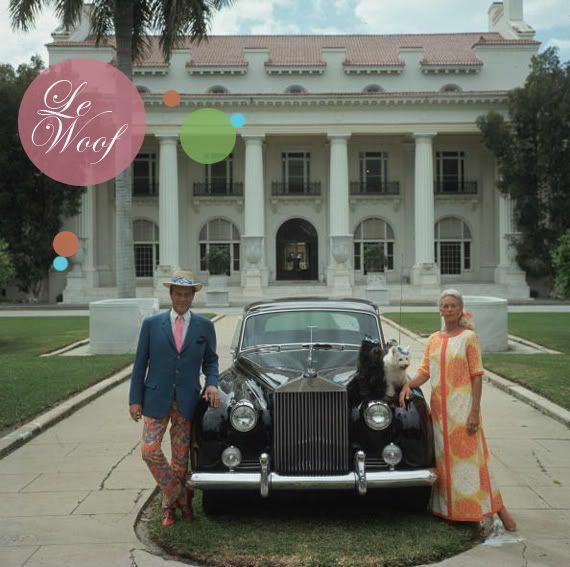 A rolls, two dogs and some far out psychedelic pants are all a fella really needs. I almost don’t even notice her glam lounge wear. Almost. This next dapper gent kills me…so rich, so orange! And that’s quite a deep dish couch, m’lady is lounging on. Slim photographed many well known “celebs” of the day. 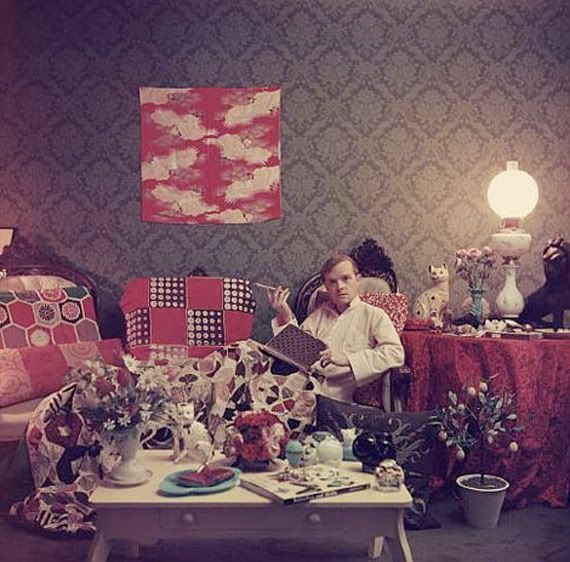 Here we have Truman Capote “relaxing with a book and a cigarette”. And five ceramic cats. Yes. It’s Joan Collins. And yes. 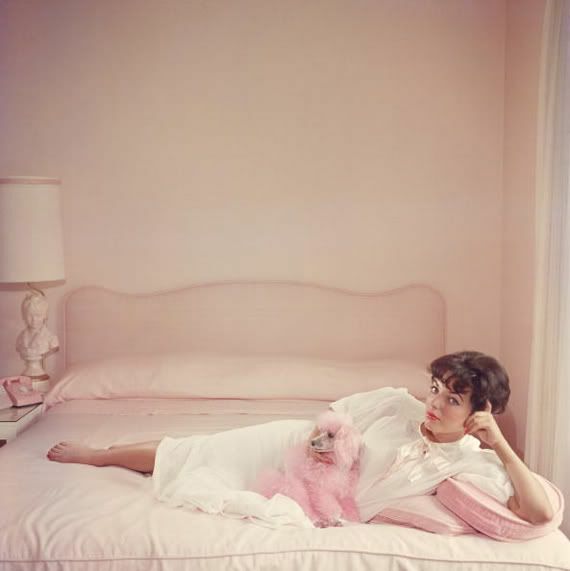 Her poodle is pink. 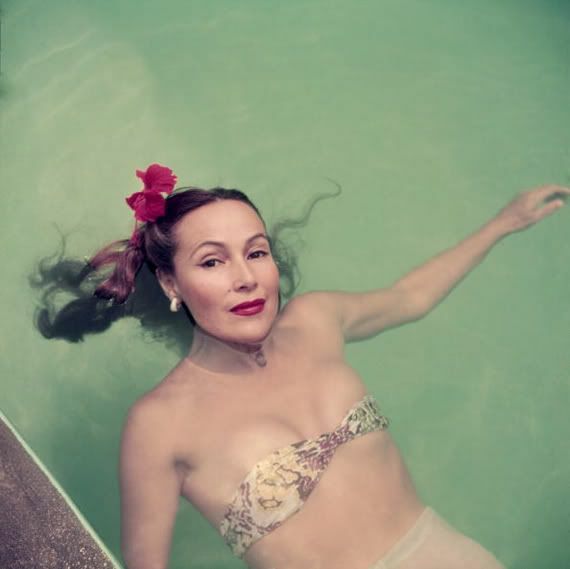 Mexican film starlet Dolores Del Rio and her itsy bitsy teeny weeny bandeau top. 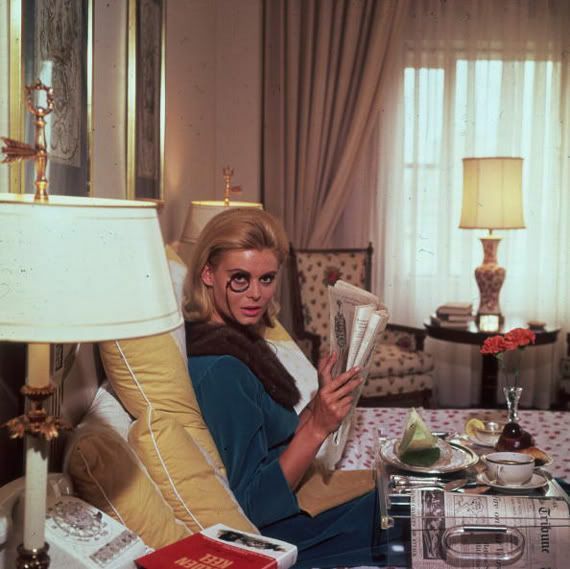 This is exactly how I take my breakfast—in bed, with my monocle and a slice of melon. FABULOUS! Sigh. 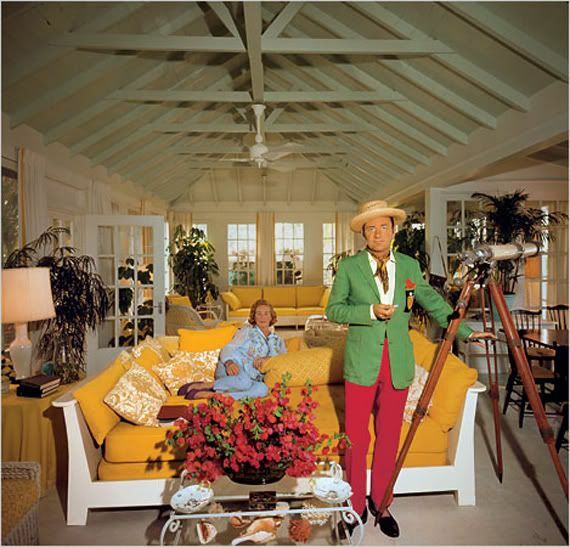 Call me crazy but I just love the weird WASP-y world of Slim Aarons. 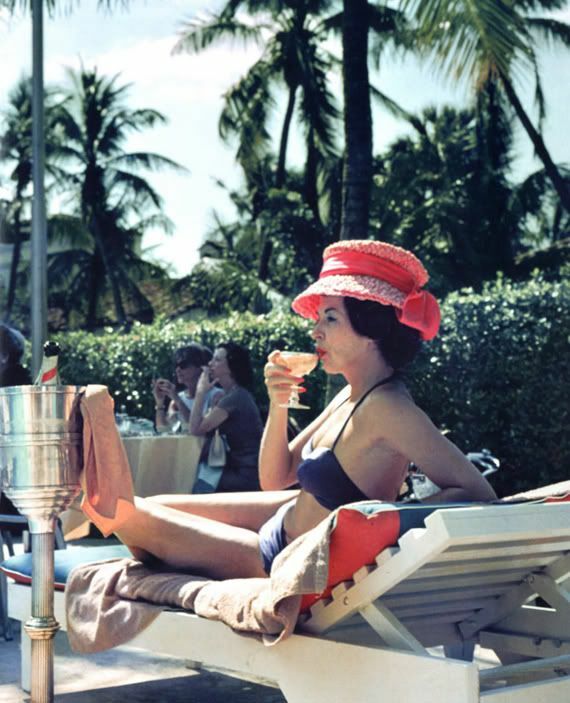 Signing off, your intrepid Holidaymaker…. This was a fabulous post!! 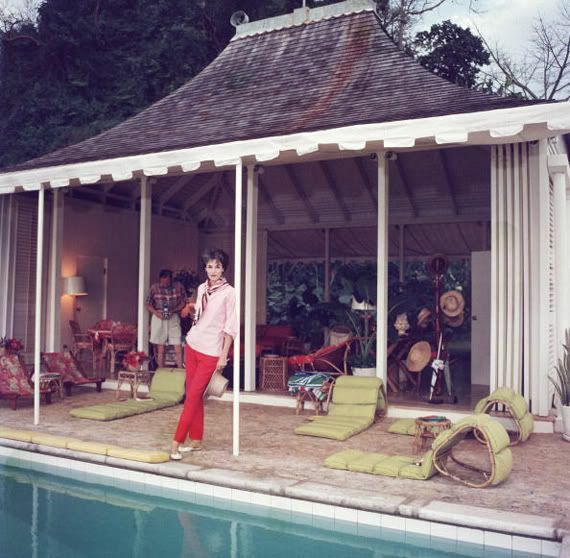 However, the second picture of her leaning up againt the pool house in Round Hill is just as one remembers her: quietly elegant, glittering and kind. Hi Justin! I wasn’t actually saying that the woman sipping the drink was Babe. If you notice, all my comments fall just above the photo I’m talking about—i was only referring to the image of her by the pool /poolhouse. I guess it was just an unfortunate coincidence that the image above happened to be a pool shot as well! haha. Glad you appreciate the elegant beauty of Mrs. Paley as well.